Soccer AM’s TUBES on PES2008! Almost everyone from the UK has heard of Soccer AM and will probably know who TUBES is but, if you don’t then you don’t. 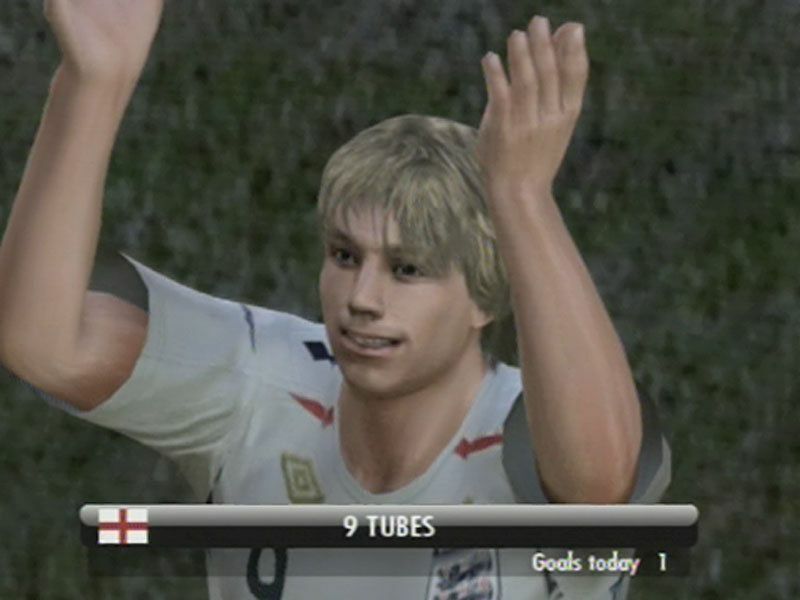 Well anyway the guys at W.E.N.B and Soccer AM worked together and made TUBES from Soccer AM on PES 2008. So he’s now available for download. This is only for the PS3 im afraid. He will replace Rooney as England’s number 9. To get TUBES onto PES2008 is exactly the same as the PES2008 option files. So follow the guide (made by me) if you need to. ^^ TUBES in all his glory. This entry was posted on Tuesday, November 6th, 2007 at 4:16 pm and is filed under Option Files. You can follow any responses to this entry through the RSS 2.0 feed. You can leave a response, or trackback from your own site. 2 Responses to Soccer AM’s TUBES on PES2008!